Why Do Batteries Discharge Faster in Cold Climates? When down time is not an option! Introducing POWERBLANKET – Extra Hot electric heated motor warming and engine heating blankets for severe weather conditions. -60°F? No Porblem. Roll in out, plug it in, and Powerblanket delivers a barrier of heat to frozen motors, batteries, hoses, engine fluids, and more. 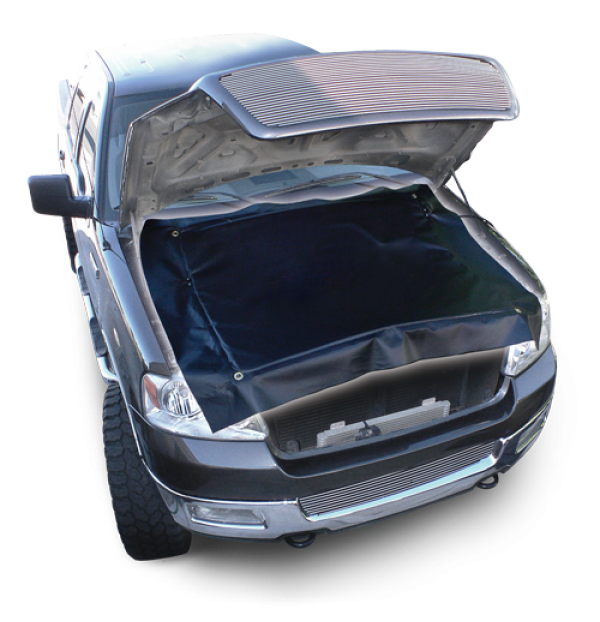 Powerblanket engine blanket heaters are 5 star rated and UL/CSA compliant. Don’t leave home without it! Just in time for cold weather, Powerblanket delivers a superior heating technology to millions of cold weather motorists. Say goodbye to cold-start wear and tear. 120V weatherproof Powerblankets are built tough to endure even the coldest outdoor weather conditions. Blanket surface reaches temperatures of 140F and will keep your entire engine compartment, hoses, fluids and battery at peak operating temperatures. Engine warming blankets from Powerblanket can be purchased direct from Heat Authority with FREE shipping.